Well, we finally did it. We finally moved Little M into her cot in her own room. It’s only just across the landing but for her it must have felt like being on a different planet after being right next to me in her Snüzpod for so long. Obviously it was very traumatic for all of us (I think hubby actually looked at the monitor more frequently than I did) but eventually she fell asleep and I was able to put her down in her cot just after midnight. To be fair, we’d been out for the day and she’d had a danger nap in the car on the way home, so I’m not sure that bedtime would have been any earlier had we stuck to the regular routine. Little M then woke at 2:30. Gosh, 2:30am is painful when you’ve been used to not being awake at 2:30am. Fortunately after around 20 minutes of bouncing and one failed putting down attempt she was back to sleep in her cot, and woke at around 7:30am. 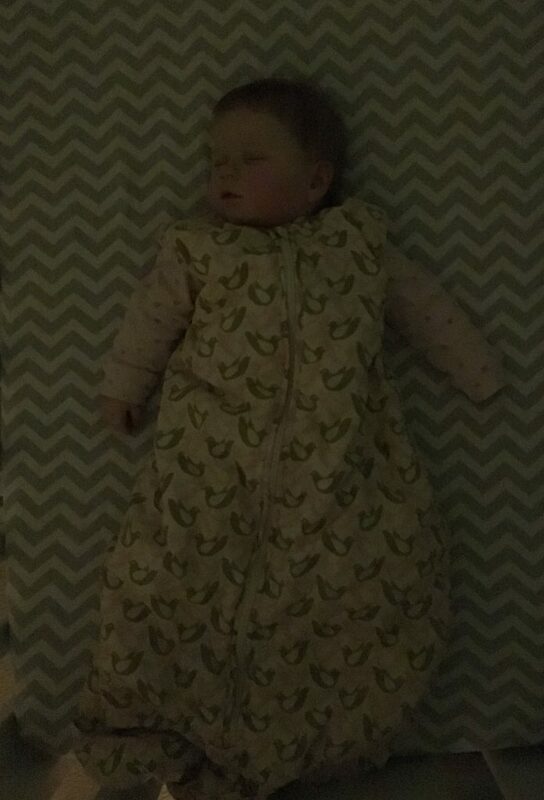 I gave her a bottle of milk then popped her back in her cot happily watching the monitor light show on the ceiling while I jumped in the shower, only to find that she’d fallen asleep again when I emerged five minutes later. She then slept through until gone 11am! If she could just shift that sleeping time back by a few hours and drop a couple of the wake ups then I think we’ll be onto a winner! One of the things I was most anxious about having Little M in her own room was the fact that she’s been used to sleeping wrapped in blankets. This was fine when she was right next to me as she slept almost completely still on her back in her Snüzpod, but I was concerned that she’d somehow get caught up in her blankets and suffocate in her cot. 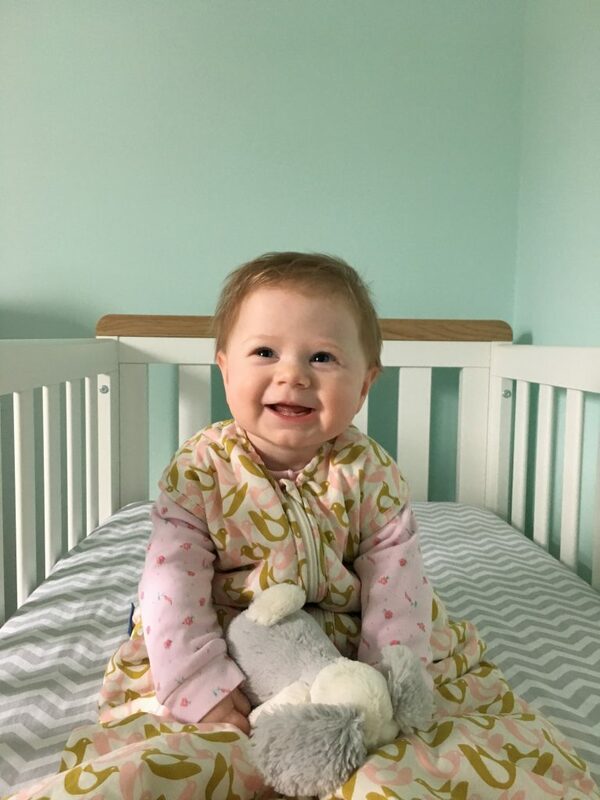 Thankfully the Gro Company sent us one of their Orla Kiely Gro Bags so Little M slept snug as a bug and I didn’t have to worry about her (and she got to look stylish too – you can find my first impressions review of the Gro Bag here if you’re interested). Hopefully bedtimes will improve as the nights go on and I’ll get to bed before midnight! Disclosure: I was sent an Orla Kiely Gro Bag to share with my readers, however all opinions are my own.